Terragen is one of those unfortunate tools that get very little exposure in spite of the results it can achieve. Wikipedia describes it as being popular among "amateur artists" which is so inaccurate. 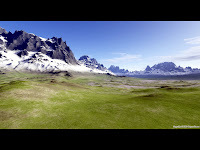 Terragen is a 3D landscape generator and if used with skill can create some truly breathtaking scenes. The truth is: you need little skill to work with this program. Take for instance the following scene, which I created in 3 minutes flat. I know it isn't that great, but considering that I used most of the default settings, it isn't any bad either. Wait till you see some professional work. 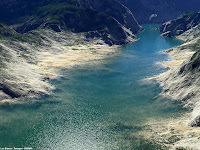 Terragen is capable of photorealistic results for professional landscape visualization, special effects, art and recreation. You can control every aspect of the landscape - the hills, the vegetation, the water bodies, the clouds, the sky and the position of the sun. It can render soft shadows, volumetric lightening, realistic sunlight, foggy scenes, lakes complete with ripples and soft reflections. Unlike 3D modeling applications like Maya or 3DS Max that require you to adjust a mind boggling number of settings and go through dialog boxes filled with jargon, Terragen is relatively easy to use. Once you get used to the interface and the various options you can create photorealistic scenes that would make you look like a very skilled professional. A couple of pre-made terrain files comes along with the application to help you get going. A preview window gives you a quick preview of the rendered scene. You can learn a lot through trial and error and playing around with the various options and seeing what each setting does to the scene. There are also a bunch of plugins that provide additional features to the program. Just use a bit of creativity and create your own desktop wallpapers! 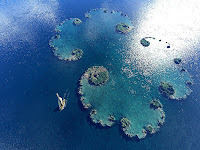 Terragen isn't just for fun. It has been used in movies too. 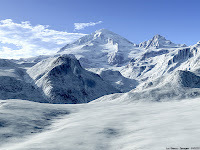 The movie Stealth, which was a box office flop, used Terragen to generate the earth terrain and Star Trek Nemesis used it to create the planetary scenes. 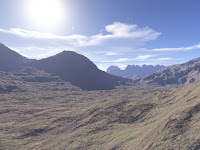 Terragen has also been used in games like Codename Eagle, Battlefield 1942, Battlefield Vietnam, Battlefield : Modern Combat, Serious Sam and Serious Sam : The Second Encounter, Formula 1 2000 and some others. The amazing thing is the entire application is just under 2 MB, and it's free for personal use. 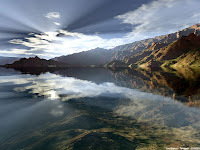 Terragen is available for both Windows and Mac. and that is why Wikipedia is garbage!